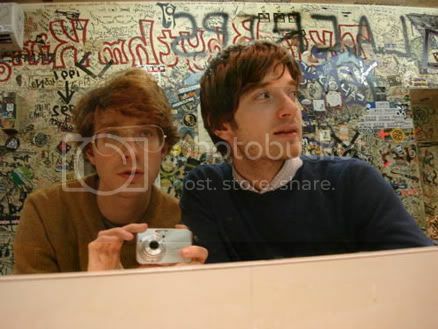 kings of convenience are my go-to band when i want mellow, chilled-out music to calm me down. they're described as an indie folk pop duo from norway, & if you've heard the whitest boy alive that's Øye's side-project. a lot of the stuff on their album riot on an empty street reminds me of quieter simon & garfunkel, which is not a bad thing. one of my favourite tracks is homesick. Ooh, I have to admit, I've only heard one or two of their songs. My fave is I'd Rather Dance With You. Thanks for the song! Those lyrics look awesome, as do those guys, Im sooo downloading that right now.